Have you ever wondered why Jesus was afraid to go to the cross, even though He was the conqueror of death? Ever wondered why Scripture says that those who hate God love death? Uncomfortable at funerals? Well then, this is the show for you! 1:45 Joy’s biggest pet peeve is revealed. 2:40 Do we talk about environmentalism, or…? 7:30 Sometimes being a mom makes dressing awkward. 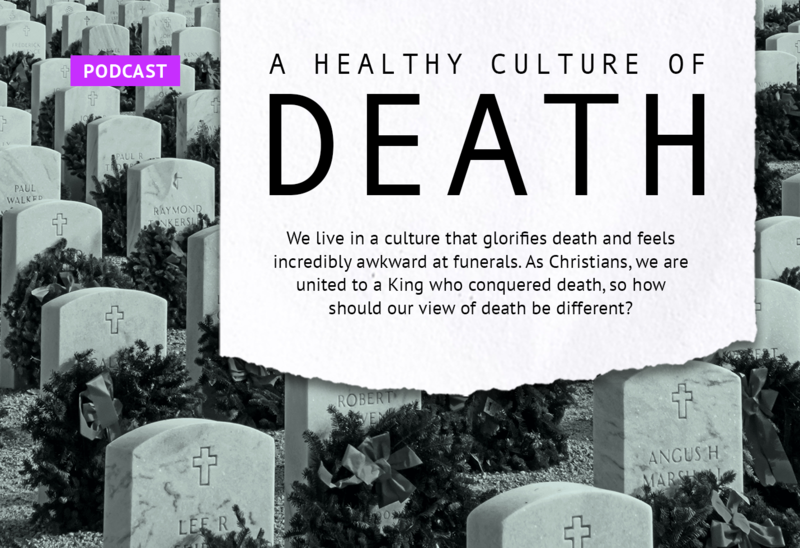 11:30 Why in the world are we discussing death? 13:23 What does Scripture mean when it says that those who hate God love death? 17:20 When Christ prayed in the garden for the “cup” to pass from him, he wasn’t praying not to die. The “cup” he was referring to was much more terrifying than physical death. 20:40 The grieving process and approach to death is going to be different for the believer and the unbeliever. 32:20 Death should be terrifying to those who refuse to repent and believe the Gospel. 34:04 What is the “death positive movement”? Good show. Would have been much improved by some discussion of the difference between heaven and Our resurrection in the new heaven’s and the new earth.